Andy Steingold celebrates his re-election as mayor of Safety Harbor Tuesday night. 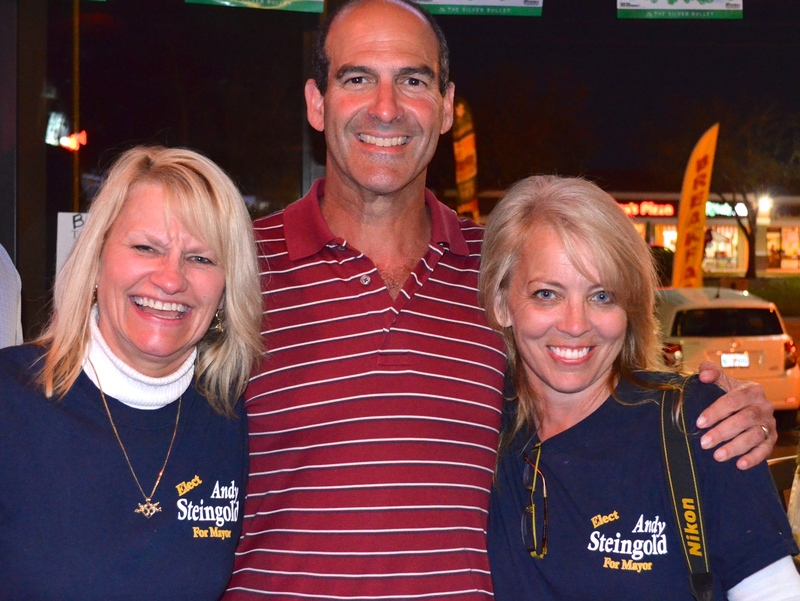 Andy Steingold was re-elected as mayor of Safety Harbor Tuesday night, winning a tightly contested race by a slim margin over incumbent Joe Ayoub. 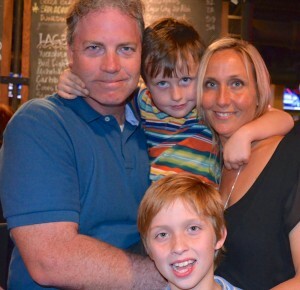 “This was probably the most contentious race I’ve ever been involved with, and I’m humbled to win by a very slim margin,” Steingold said from his victory party at Beef ‘O’ Brady’s in Safety Harbor. The mayoral race was contentious right from the start, with Steingold and Ayoub trading barbs at a candidate forum in January, and the animosity continued right up until election eve, when a news report showing an Ayoub supporter stealing Steingold’s campaign signs aired. Current mayor Joe Ayoub lost a tight race to former mayor Andy Steingold. After the election, Steingold complimented his opponent and shrugged off the “sign-gate” controversy. Steingold said he is eager to get started on his new term in office and pick up where he left off. He was forced to step down as mayor in July of 2012 when he decided to run for circuit court judge. After losing that race, he waited until the last minute to enter this special election to fill the vacant congressional seat held by the late CW Bill Young. Regarding the eleventh hour entry, he said it was the urging of his supporters and his desire to guide the city into the future that made him jump back in to the political arena. In addition to the mayoral race, two new city commissioners were elected on Tuesday: Andy Zodrow for Seat 3, and Carlos Diaz for Seat 4. New Safety Harbor City Commissioner Andy Zodrow and his family. Zodrow, an environmental lawyer and relative unknown in city government circles, said he wasn’t surprised by his overwhelming victory over Planning and Zoning board member Dean Harmeson. Besore, meanwhile, said she had no regrets about stepping down as commissioner to run for mayor, even though she “got clobbered,” as she put it. 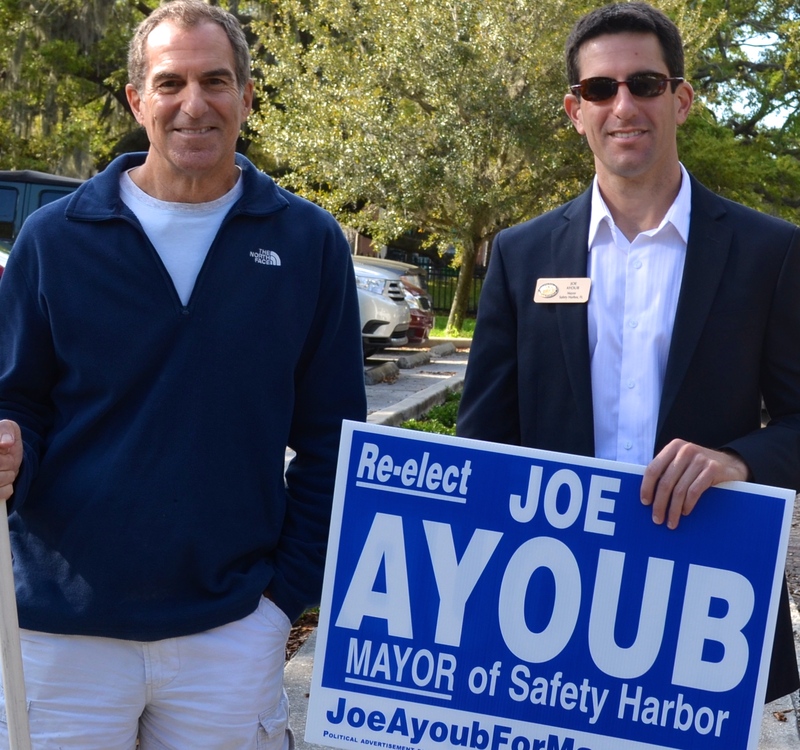 Stay with Safety Harbor Connect for continued coverage of the 2014 municipal election this week.